(Natural News) West Nile Virus (WNV) might sound like an exotic disease that affects people somewhere in Africa, but it is also pervasive throughout the United States, particularly in the hot, muggy, summer months. While most infected people never even exhibit any symptoms, the Centers for Disease Control and Prevention (CDC) warns that about 1-in-5 infected people will develop fever, joint pain, body aches, vomiting, diarrhea or other symptoms. Some infected people also develop severe illnesses affecting the central nervous system, such as encephalitis – inflammation of the brain – or meningitis – inflammation of the membranes that surround the spinal cord and brain. Recovery can take months, and in some cases these diseases can prove fatal. Since WNV is spread by mosquitoes, the generally accepted way to prevent it is to kill the mosquito larvae with larvicides. However, these chemicals are bad for both the environment and human health. 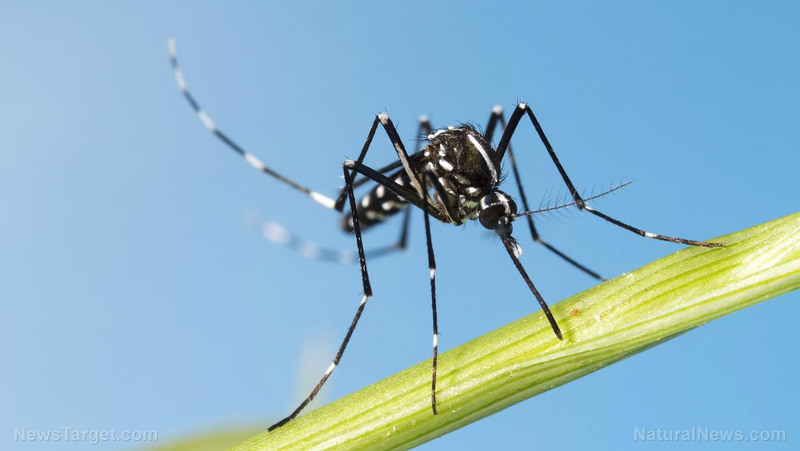 Now, a study by researchers from the University of Waterloo has uncovered a chemical-free way to limit mosquito numbers in areas prone to WNV. The study, which was published in the journal PLOS One, found that if hungry minnows – small freshwater fish in the carp family – are introduced into mosquito breeding areas, the minnows will feed on the mosquito larvae, dramatically reducing the number of adult mosquitoes, thereby naturally curbing the spread of WNV. The research team introduced minnows into 10 treatment reservoirs over a three-year period. Six additional untreated reservoirs were also monitored for control purposes. Treatment ponds demonstrated a 114 percent decrease in larva density compared to control ponds over all three seasons. Neem oil: The Malaria Institute in India found that neem oil is a more effective mosquito repellent than those that contain the harmful chemical DEET. Their findings were confirmed in the Journal of the Mosquito Control Association and the National Research Council. Soy oil: A report by the respected New England Journal of Medicine found soy oil to be at least as effective as DEET at repelling mosquitoes. Catnip oil: A study by researchers from Iowa University found that catnip is 10 times more effective than DEET as a mosquito repellent. Discover more about the dangers of chemical pesticides and repellents at Pesticides.news.